If you’re looking for a power planer, then your search is over. At SGS Engineering, our collection of electric planers can make your woodwork faster and more efficient. We have a choice of Ryobi planers for you to browse. So, find your new planer today, to save time and elbow grease. Whether to level the bottom of a door in your home, or to use in your work as a professional tradesperson, a planer is a toolbox staple. Although you could complete tasks with a manual model, an electric planer will increase speed and accuracy, making the work easier. Available from SGS are Ryobi’s 18V planer models. Like all our cordless planers, they are agile and powerful, completing even the most difficult of tasks with ease. Plus, with an additional handle at the front that incorporates GripZone technology, these Ryobi wood planers are precise and comfortable to use. When using a planer, one of the biggest issues is often the mess. After working, you must then clean up dust and wood shavings. However, these Ryobi hand planers resolve this issue. This is because they have a DustTech feature which collects the dust and debris as you work, so you can forget about cleaning and focus on the task at hand. Need your new planer in a hurry? No worries. We provide free delivery on all our Ryobi power tools orders of £50 or more. 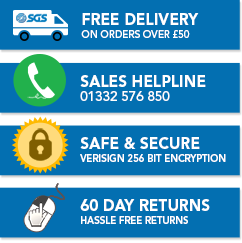 We also ensure that every order received before 4pm is despatched on the next working day. 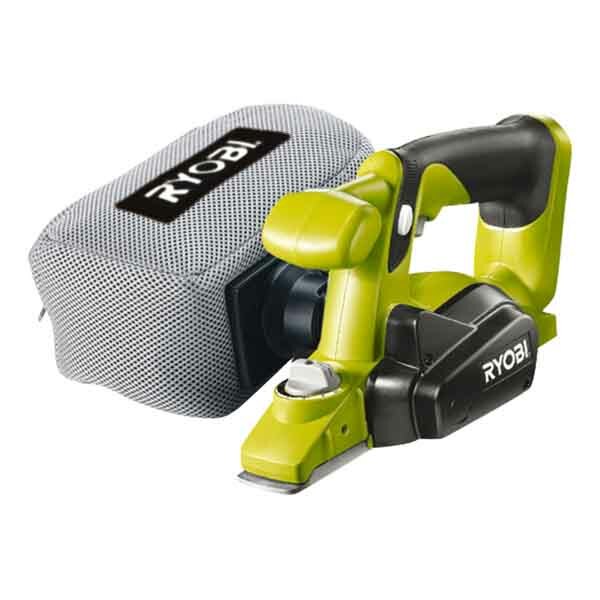 Buy today and you could be using your new Ryobi planer in no time.